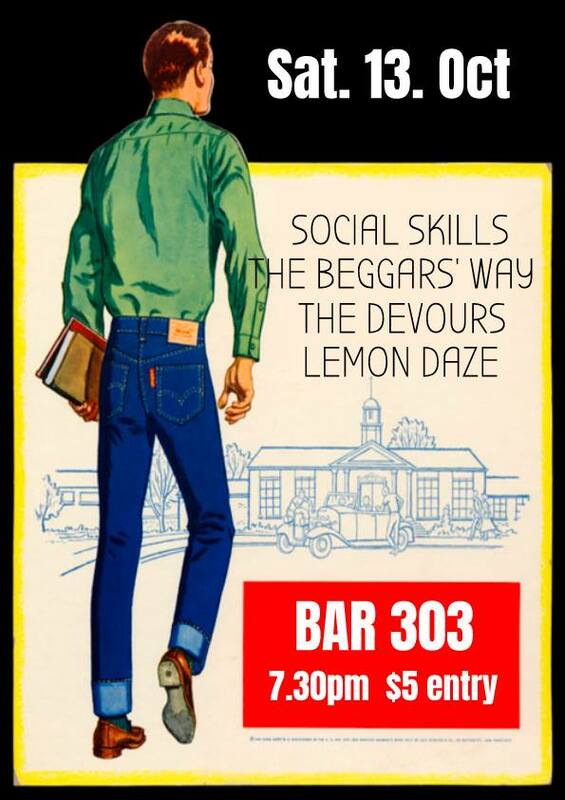 Social Skills, TBW, The Devours and Lemon Daze are all heading to Northcote this October, for an evening of punk rock at Bar 303. Bring your friends, families, and tinder dates, and come enjoy some of Melbourne's fine local talent (and beers) with us! !